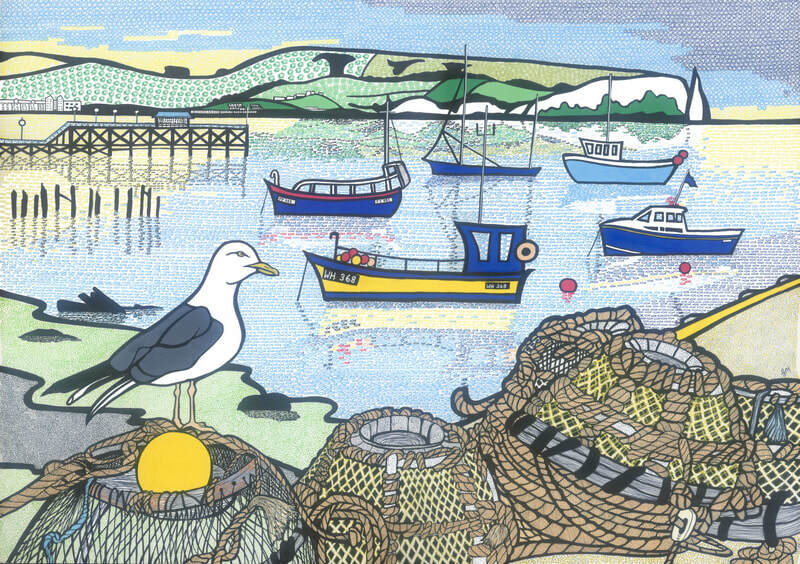 Gina is an artist from Weymouth but now lives in Swanage. She retired from working as a doctor in psychiatry in 2003 due to ill health. In 2013 she began drawing and painting, making great progress over a period of 6 months of 1:1 tuition. During the 1:1 tuition she dabbled with ink, and loving the vivid colours, used it on watercolour paper both painting and drawing with ink on this surface. She has taken inspiration from wood cuts, doodle art and pointillism but also uses a great deal of imagination. She is inspired by the Dorset coastline and deconstructs the elements to build them back up again into defined, strongly delineated areas filled with repetitive motifs. She also uses humour in her pictures through the choice of motifs and simplification of their form. Although not formally trained, this gives her a freedom and creativity which is not constrained by convention. 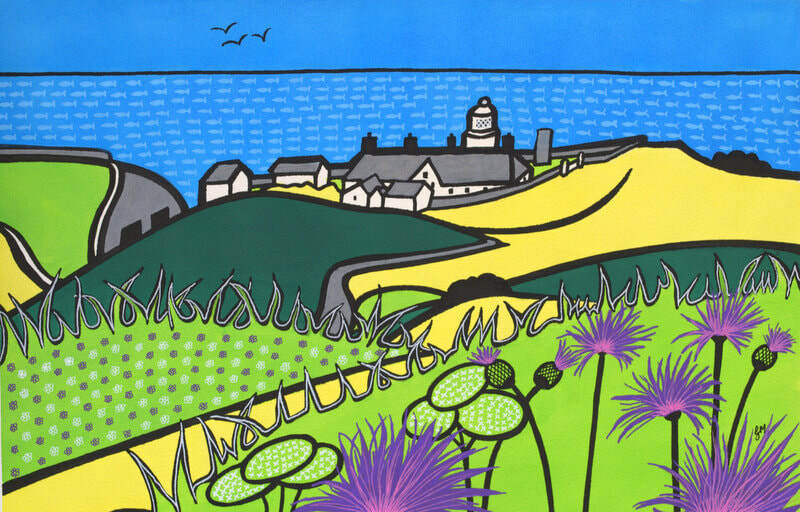 She used to sell her art in Sansom Gallery in Swanage until she founded Purbeck New Wave Gallery. 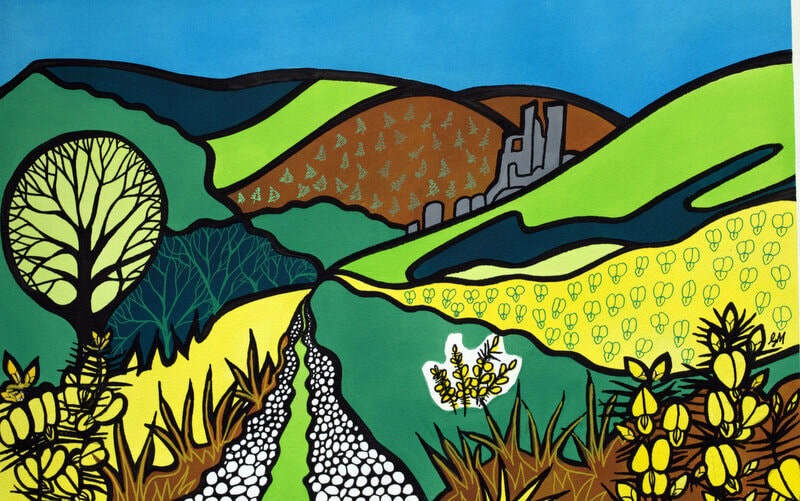 She also sells work in Seasons Green, Corfe Castle and Cove Gallery, Weymouth.